Wealth, it would appear, is the most talked about element of human existence. People are ever eager to cull information about billionaires, their lifestyle, residences, stories of opulence, etc. A curiosity to know about billionaires' residences stems from that very urge. 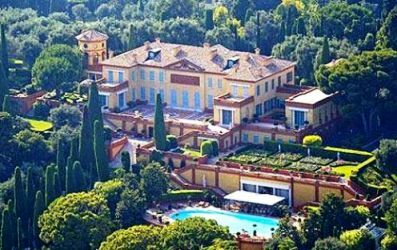 Here are some interesting facts about 10 most expensive houses in the world. Read on . . .
Interestingly the first place is occupied by Reliance Industries chairman Mukesh Ambani's house. Named Antilla, the house owned by Mukesh and Nita Ambani, is a 27-storey, 40,000-square foot tower. Known for its custom measurements and fittings, Antilla comes with a six-story car park. Will & Hirsch Bedner Associates based in Dallas and Los Angeles. No floors in their home are alike. Each floor has a different layout, material and design. Atop the parking lot begins the living space with nine elevators in their lobby. The house also boasts of a silver coloured railing large ballroom with 80 per cent of its ceiling covered with crystal chandeliers. The 570-foot tall mostly glass, the tower has 600 staff to handle the chores. There is a crystal chandelier in the ballroom ceiling. It also features retractable showcases for artwork and entertainment stages. Each floor is double the average height. The head of Reliance Industries, a oil and petrochemicals giant, Mukesh Ambani holds a net worth of $43 billion. 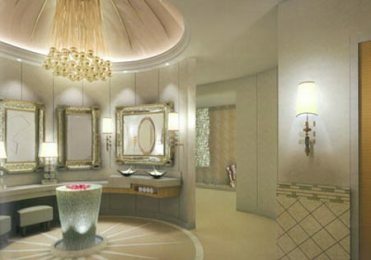 Image: A peek into Mukesh and Nita Ambani's dream home. This villa was built in 1902 by King Leopold II of Belgium. It belonged to Lebanese banker Edmond Safra. It is now owned by Safra's wife, Lily. This is an 80,000-square foot estate furnished with beautiful antiques. It boasts of 19 bedrooms, courts, a bowling alley, multiple kitchens and dining rooms and a movie theatre. The villa has multiple swimming pools and lavish gardens that need more than 50 gardeners for its maintenance. 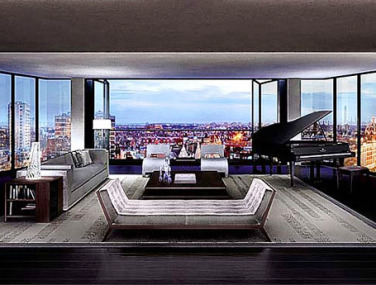 Atop the 82 other apartments at the famous Number One Hyde Park address sits the most expensive flat in the world, at 6,000 pounds (Rs 434,000) per square foot. The flat has panic rooms, bulletproof windows, iris scanners and even a secret tunnel to the nearby Mandarin Hotel. The building houses communal spas, squash courts and even wine tasting rooms. This plush apartment has 24-hour room service. 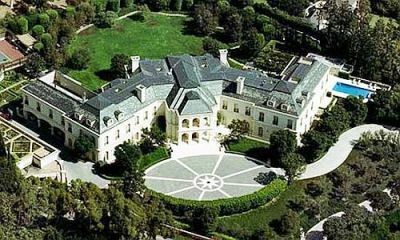 The 63-acre home of American investor and businessman Ira Rennert is considered the largest residential compound in entire America. 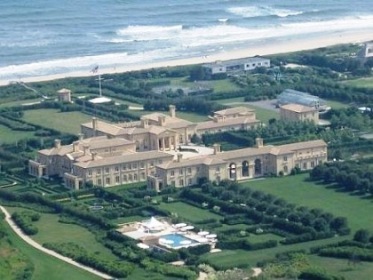 The publicity shy billionaire owns the most valuable home in the Hamptons; with 29 bedrooms, 39 bathrooms, as well as a huge dining room (91 feet long), 5 sports courts, bowling alley and a $150,000-hot tub. Image: Fairfield Pond, The Hamptons. This mansion, formerly owned by publishing magnate William Randolph Hearst, features 29 bedrooms and three pools. The mansion houses a disco and a theatre. It was the estate used in the film The Godfather. It is heard that former US President John F Kennedy stayed here during his honeymoon. This Victorian Villa was a girl's prep school until 1997. Bought by developers and upgraded in 2006 with more than 10 million pounds, it was purchased by Ukrainian AIDS philanthropist Elena Franchuk. This 5-story home is freestanding, with 10 bedrooms, an underground swimming pool, movie theatre, panic room, saunas and gym. 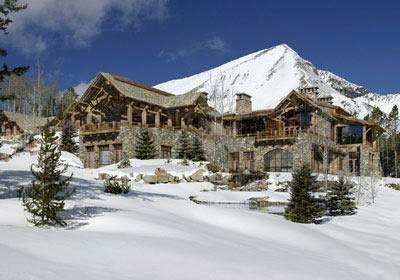 This luxury ski-lodge is the home of private ski and golf community Yellowstone Club. It is owned by American billionaire Tim and Edra Blixseth. With 10 bedrooms, this home has heated flooring throughout the house, a heated driveway, fireplaces in all bathrooms, a huge wine cellar, an indoor/outdoor pool, gym and massage room. This is American film and television producer Aaron Spelling's 56,000-square-foot mansion . Built for him in 1991, it has 123 rooms. It has an indoor skating rink, multiple pools, three kitchens, sports courts, private orchard, and a bowling alley. The mansion has some interesting appendages, such as a doll museum, a room used exclusively to wrap presents and an entire floor dedicated to closet space. Image: The Manor, Los Angeles. This 40,000 square foot mansion is bigger than the Buckingham Palace. With 103 rooms, it has been billed 'the most important private residence to be built in England since the 19th century'. It is said to be owned by crown prince of Dubai, Sheikh Mohammed bin Rashid Al Maktoum. It has a bowling alley, squash court, movie theatre, five swimming pools, a heated marble driveway and a staircase apparently modelled after the one found in Gianni Versace's Miami mansion. 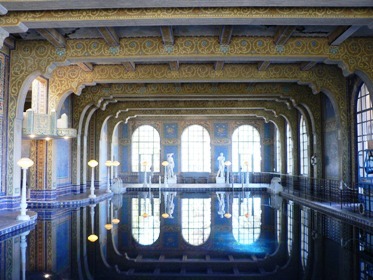 Its most outstanding feature is the 24-carat gold leaf mosaic floor in 22 bedrooms and 27 baths. Image: Updown Court, Windlesham, Surrey. 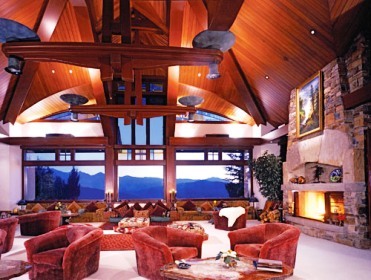 The main house on the property was designed by the architectural firm of Hagman Yaw and built by Hansen Construction of Aspen. 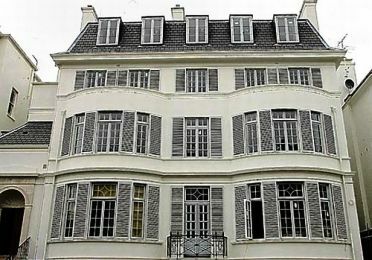 The house is said to be owned by Prince Bandar bin Sultan bin Abdulaziz, a former Saudi ambassador to the United States. The estate features several smaller buildings, stables, a tennis court and an indoor swimming pool. Steel magnate Lkshmi N Mittal, chairman and chief executive officer of Arcelor Mittal, bought this central London house in 2004. The 12-bedroom mansion located at the prestigious Kensington Palace Gardens has garage space for 20 cars. Bernie Ecclestone, the Formula One racing boss, who sold the house to Mittal, had bought it for his wife three years ago. The Kensington Palace Gardens houses are dubbed Billionaires' Row. 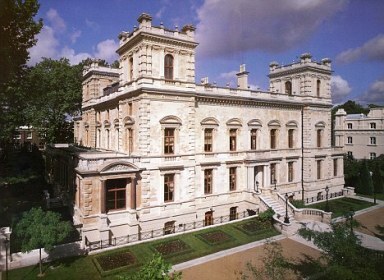 Nearby are Kensington Palace and the London home of the Sultan of Brunei. It is also close to Kensington Palace where Princess Diana lived. Mittal also owns a 9-million pounds mansion on London's Bishop Avenue, and a house on Delhi's Prithviraj Road which is said to have cost him Rs 40 crore (Rs 400 million). Mittal also has a penthouse at Hyde Park and houses in Surabaya, Indonesia, and in Trinidad. Image: L N Mittal's Kensington Palace Gardens house. Another bloodbath in the US markets predicted! Mamata's grand plans for Railways only on paper?